Entertainment Correspondent: It was Chinese New Year on Thursday (January 17). 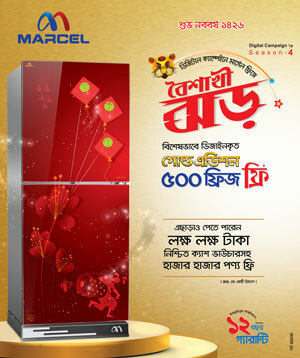 The event is celebrated in around 400 towns of 130 countries every year. On the occasion, a new year cultural performance held at the Bangladesh national theater in Dhaka, Bangladesh on the day. 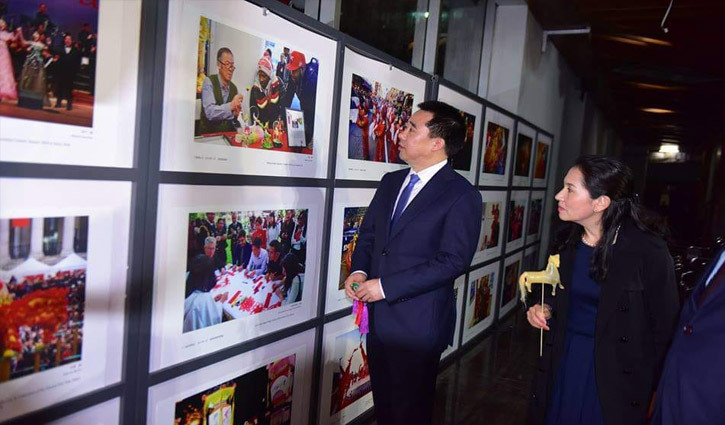 The event was hosted by the Embassy of People’s Republic of China in Bangladesh and co-organized by Bangladesh Shilpakala Academy, Bangladesh-China Friendship Centre and the culture and tourism department of China’s Yunnan province. Chinese Ambassador to Bangladesh Mr. Zhang Zuo and Dr. Hasan Mahmud, Minister of information of Bangladesh and Ms. Roxana Malek, Secretary of the Ministry of Culture attended the opening ceremony as the honorable guest. A total of more than 1,000 people attended the event, including the Prime Minister’s Office, the Ministry of Foreign Affairs, the Ministry of Culture Affairs, the Ministry of Interior, the Military, diplomatic envoys from various countries and people from different community in Bangladesh. 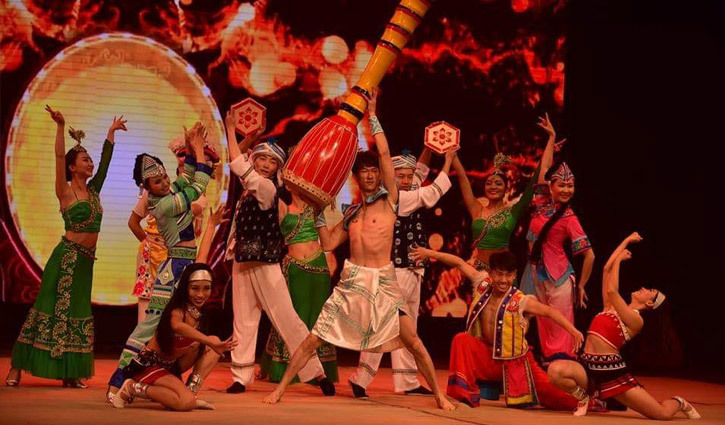 The event included a joint performance by the Yunnan ethnic village plateau art troupe and the acrobatic troupe of the Bangladesh Shilpakala Academy, an exhibition of the intangible cultural heritage of Yunnan province and a photo exhibition of “Happy Chinese New Year Gala -2019.